Nominal Size: 1/2" to 8"
Reckoned amid one of the credible market names, we are willingly betrothed in offering to our patrons UPVC Plumbing Pipes. We have trusted names for offering a wide range of UPVC Plumbing Pipe in bulk quantities. ASTM plumbing pipes are manufactured as per ASTM D 1785 and are available in Sch. 40 and 80 pressure classes. The pipes are available in a standard length of 3 meters and 6 meters in both plain and threaded ends. Threads are compatible with GI fittings as per IS-554. ASTM threaded pipes are cheaper to conventionally used G.I. 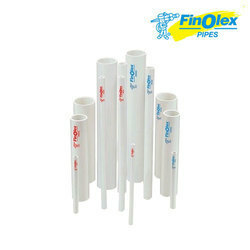 Being a well-distinguished company in the market, we are into offering UPVC Plumbing Pipe.